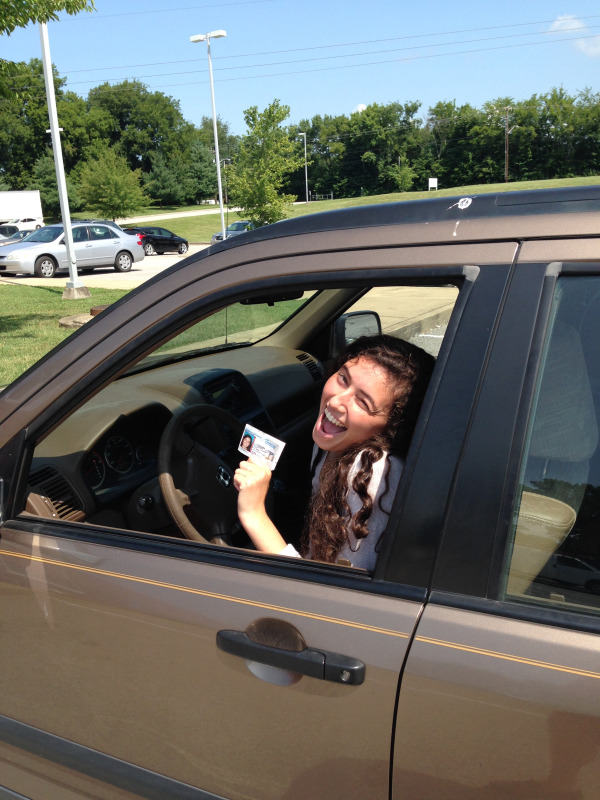 Last week my daughter Jordyn received her drivers license (see pic below). Driving with a teenager is like watching a horror movie. You just sit on pins and needles waiting for something to come out and scare you. I know every driver and parent goes through this dance, but you’re not forced to enjoy it. I made one big mistake while Jordyn was learning to drive. It was the mistake of assuming. I just assumed she knew how to get her way around town. I let her drive me to her babysitting gig with my mouth shut. I wanted to see how she’d do. Unfortunately, she has her mother’s sense of direction. Even with a printed Google map, she went ten blocks out of her way before realizing she was lost. It was stressful, yet an eye opener. While she was babysitting, I hurried to Best Buy to get a GPS. It had a large, clear screen and allowed me to prevent her getting routed via the interstate until she has more practice. That GPS has made all the difference in the world! Her stress level and my stress level are down to zero. Jordyn didn’t understand how we did it back in my day. Let’s see. We used a phone in our parent’s house to call our friends. Some times we had to pull a quarter out to use a pay phone. Our friends would give us directions we wrote down. If we were lost, we pulled over to a gas station or a payphone. Just to write that out made it sound like I tooled around on a horse and buggy. Now mind you. My daughter is one of the only kids in her high school without a smart phone. Now how smart does that phone make them, if they’re reliant on it for everything? That’s a whole other article. A hundred bucks a month for a smart phone is crazy. It’s even crazy to her. If offered the phone, she’d gladly take it. If asked to pay for it, she’d pass. That’s the litmus test with kids. Ask them to pay for half of everything they want. If they’re willing, then go ahead and pick up the tab. If not, you’ve just saved yourself a whole lot of money. Though I have an incredible sense of direction, there are times I need a GPS. It came in handy on my recent trip to Portland, Oregon. In business, we all need a GPS. There are challenges, projects and initiatives that require a guide. For many operators, Restaurant Catering Systems has been their GPS. Recently, Mark Rogers with Smoke and Spice used our “directions” and templates to systematize building his catering sales. He rented a mailing list with our criteria, cleaned the list and used our 3-step lead generation program. He invested about $1116 dollars and generated $11,527.71 in catering sales within two months. We are working on a new program at RCS to automate what Mark did. The program all starts with a list. 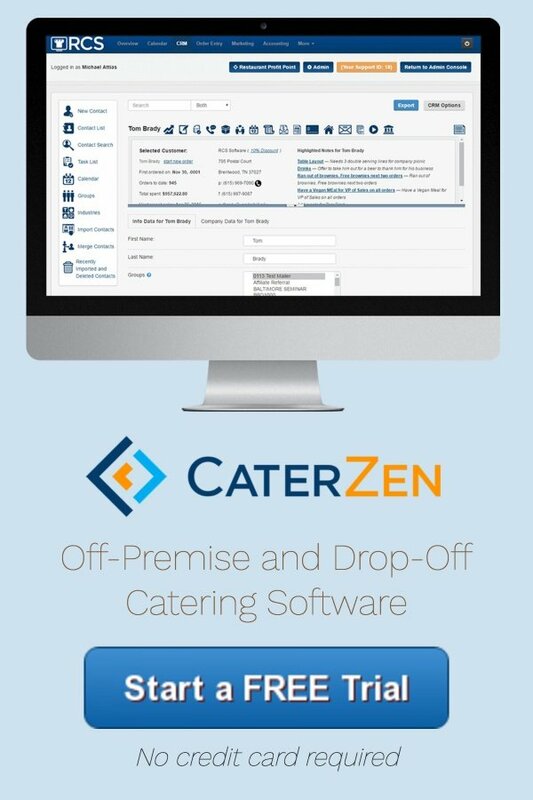 We have worked with one of the most sophisticated mailing list companies in this country to create a profile of the ideal corporate catering decision maker. Based on what they profiled for us, our clients can target 5% of the businesses that fit our ideal client. That 5% of businesses have a 300% greater propensity to buy than the average business in the area. The head of this company is a marketing friend I first met at Corky’s via the Direct Marketing Association. He is sharp, and so are his people. He has a PhD statistician on staff to create these profiles. They are not cheap, but very worth the investment considering the benefit to our clients. We plan on testing out this new level of service and have a few beta clients. Please stay tuned. This will be a major game changer. On a related note, you don’t have to invest in a high priced “Catering GPS” with our company. Many of you only need software and/or a few tools. I have launched a new version of our site that offers a free trial of our software. 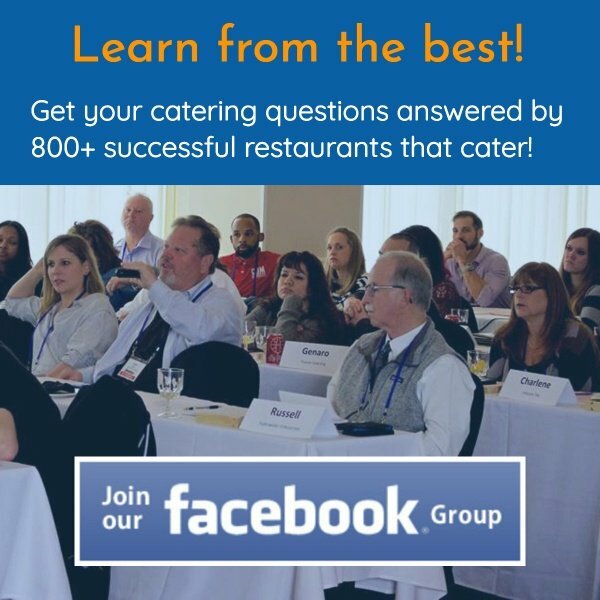 Please go to: https://www.restaurantcateringsystems.com/signup and check it out.